Need help decluttering your bedroom? You’re in the right place! 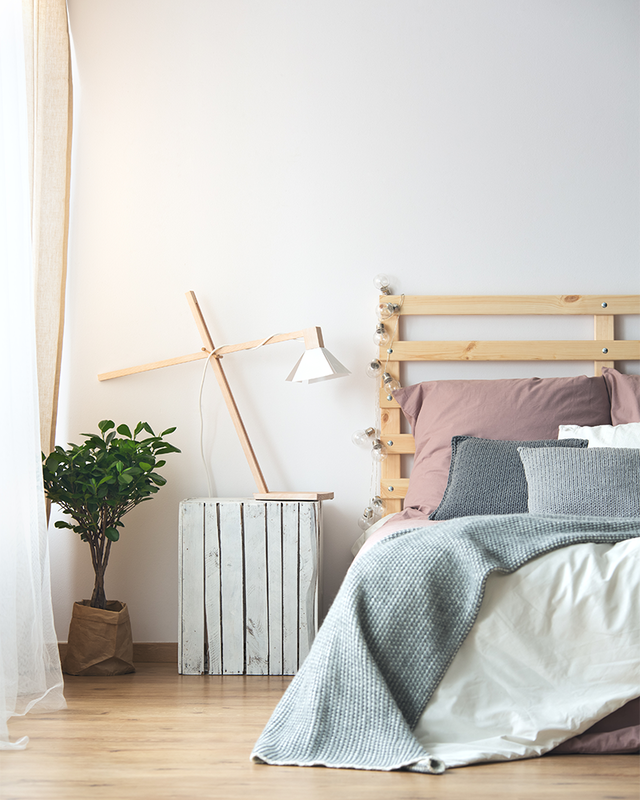 We’ve already given you a brief overview of how to declutter your home room by room, so today we’re going into depth about how to declutter your bedroom! Bedrooms are for sleep and relaxation but they can easily become a dumping ground for laundry and other miscellaneous odds and ends. And a messy bedroom isn’t conducive to a good night’s sleep… It’s much easier to fall asleep in a calm, clutter-free room. Read on to find out how to achieve a clean, organized and clutter-free bedroom in ten easy steps (and remember, this doesn’t all need to be done in one day). Not sure where to start decluttering your bedroom? Start with your bed. Remove any excess pillows or throws that look nice but clutter your room when you throw them on the floor before you get into bed. Now to tackle your wardrobe. Take everything out and sort it into three piles – keep, donate or put into storage. Keep the in-season clothes that you wear regularly in your wardrobe and then pack away anything that’s out of season. And anything that you haven’t worn for at least six months? Donate it to a charity shop. Is your bedside table covered in clutter? Then it’s time for a tidy up. As a general rule, the surface of your bedside table should only hold the essentials (i.e. lamp, alarm clock, glass of water, etc). Any items that you don’t need to have to hand will be a distraction when you’re trying to sleep so keep items on your bedside table to a minimum. Do you open your chest of drawers to find unfolded clothes shoved into drawers in an unorderly mess? Then take everything out and put it back in using the Marie Kondo folding method. Your drawers will look neater, you’ll save space and your clothes won’t come out of the drawer creased. An easy way to declutter your bedroom fast is to remove any unused or broken items. That broken alarm clock that you’ve been meaning to fix for months but haven’t got round to it? It’s just cluttering your bedroom so get rid of it. As a rule of thumb, your room should only contain the essentials and as part of the bedroom decluttering process, anything that’s a distraction when you’re trying to sleep should be removed. That goes for TVs, laptops, tablets and if you’re really serious about sleep, even your mobile phone. Messy wires and cables are unnecessary clutter, and an easy way to declutter your bedroom is to tidy them up. Grab a pack of VELCRO® Brand ONE-WRAP® Reusable Ties and wrap up all mobile phone chargers, hairdryer cables, headphones, etc. You’ll surprised how much neater your bedroom looks and feels when it’s not cluttered with messy cables. If you feel like furniture takes up most of the space in your bedroom, take a step back and see if there’s anything you can remove. You may not need that extra storage unit anymore. 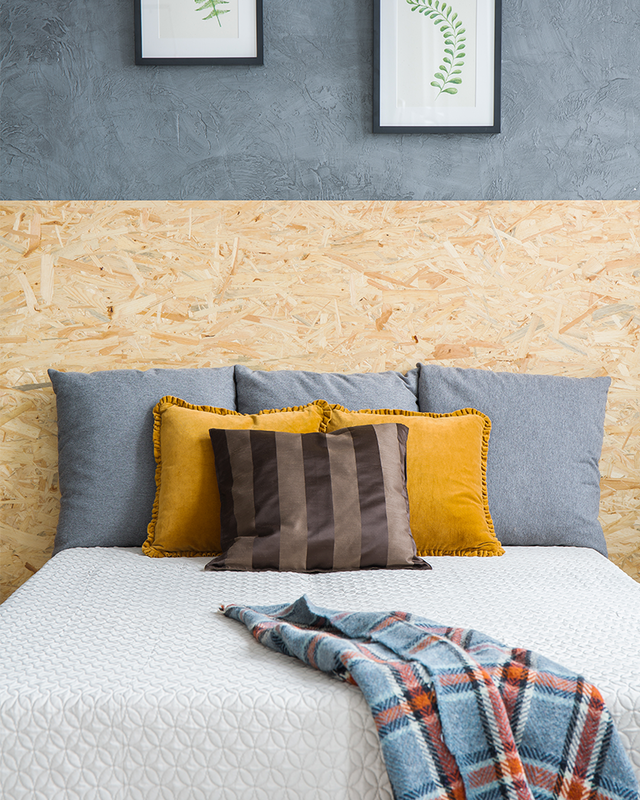 One of our best tips for decluttering your bedroom is don’t just store all your clutter under the bed. Be selective with what you store there to avoid a build-up of junk. For example, use the drawers under your bed to store towels, bedding or out of season clothes. And stick to that. Decluttering is one thing; ensuring your bedroom remains clutter-free is another. So once you’ve decluttered your bedroom, it’s important to start forming new habits straight away to ensure it stays decluttered. The easiest way to do this is to make an effort to form new habits (i.e. put clothes away straight away instead of throwing them on the floor). Don’t declutter the whole room at once; to avoid feeling overwhelmed, break the job down into smaller tasks. Once the initial decluttering is done, spend an additional 30 minutes per week decluttering to avoid a mess building up. Allocate the most time to decluttering your wardrobe – this is usually the source of most clutter so be prepared for it to be a time-consuming task!